Ahh, finally got around to blog again. A bit busy with my little brats and my sewing machine being wonky for the past 3 days, apparently the bobbin case has got bad and had to buy a new one. But I still got 2 smocking dress to make and feel a bit lazy these days, maybe because of the weather, which is super duper HOT and HUMID. By mid morning I already run out of steam :D. It’s just too hot for May, it feels like July! 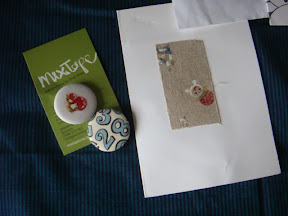 Second: My best friend has just started her CRAFTY BLOG. She’s heavily pregnant now :D but she’s so full of energy that she has finished 3 ribbon embroidery bags! Mind you, she’s just learning sewing few months back and ribbon embroideries few weeks bag. She’s a fast learner indeed. Third: Read on the news paper about Nomophobia and google it and VOILA! it is a new desease, or so they said. Click HERE to read more. 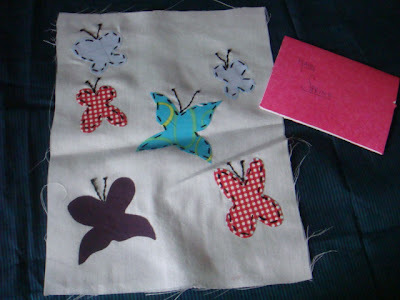 That’s all, my head is still buzzing with butterfly bag..must make it soon!!.. 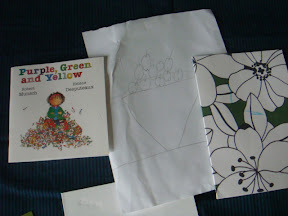 I can't wait to see how the bag turns out! !